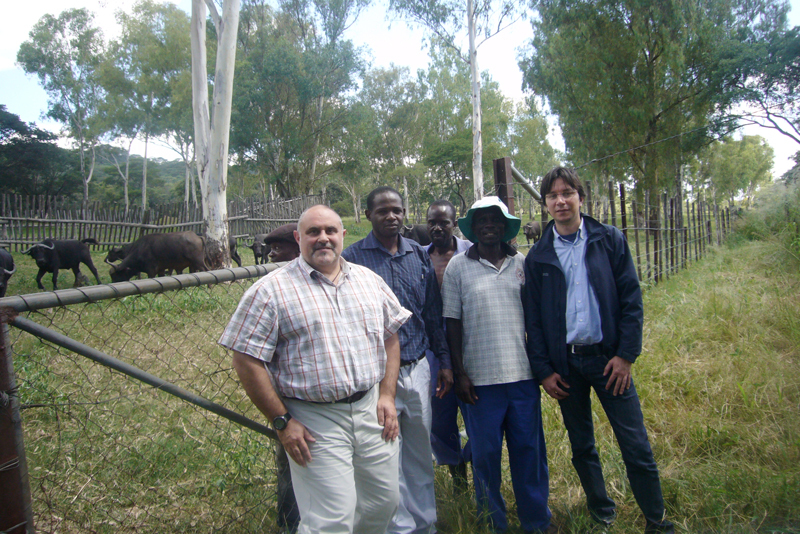 From the 26th of February to March the 2nd 2012, a delegation of the G. Caporale Institute, composed of doctors Massimo Scacchia and Giuliano Garofolo, travelled to Zimbabwe to verify the existence of necessary prerequisites for the implementation of an OIE Twinning on Brucellosis with the Central Veterinary Laboratory (CVL) of the African country. During their stay, the Institute's doctors visited the laboratories involved in the twinning project: the bacteriology laboratory, coordinated by dr. J.V. 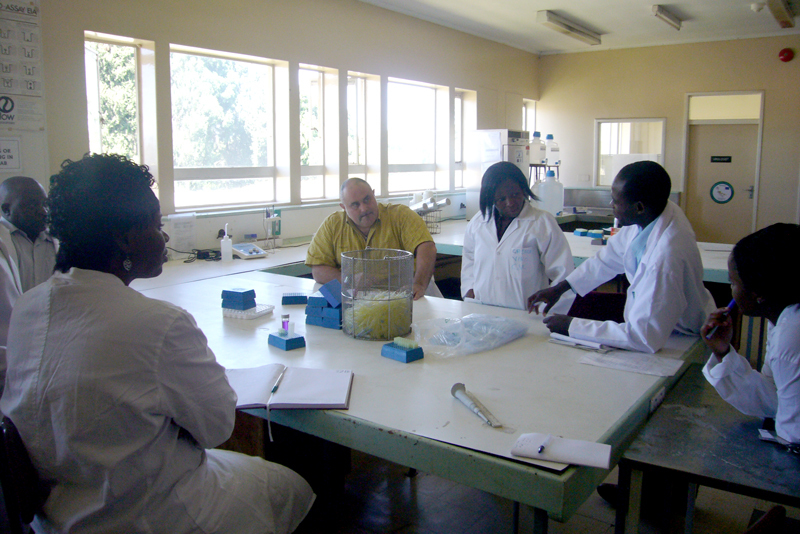 Burumu; the serology laboratory, coordinated by dr. B. Gadaga; and molecular biology laboratory, coordinated by dr. C.T. Hodobo. 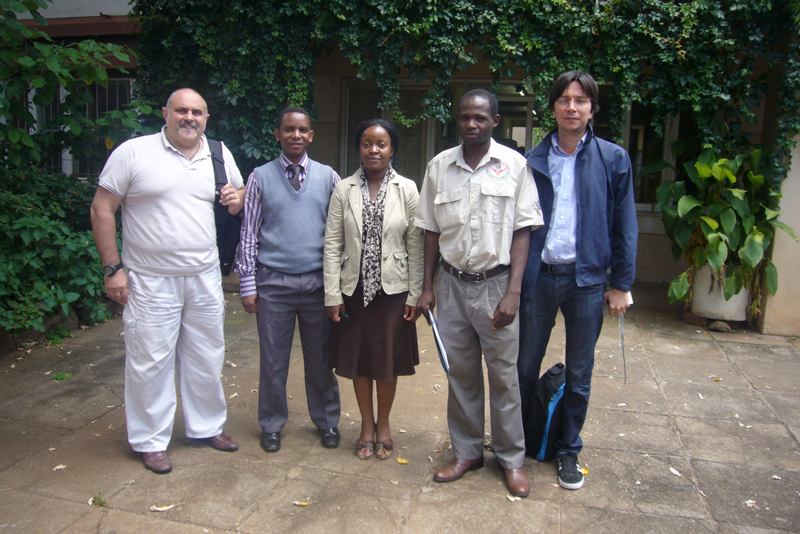 The Institute's delegation also met the head of the epidemiology department of CVL, dr. Chindezwadel, with whom it discussed the importance of epidemiology for matters of surveillance, control and eradication of Brucellosis. Once the feasibility and willingness of CVL management and Director P.V. Makaya was asserted, the OIE Twinning was drafted. A week earlier, another Institute's delegation visited the same establishment to verify the existence of requisites for the implementation of the Laboratory Information Management System (LIMS). This diversified collaboration with the Zimbabwe CVL offers the G. Caporale Institute new opportunities to strengthen its presence in the South African region.